“Green Talks” is a series of public debates launched and organized by Ecofund and the “Institut des Métiers de l’Environnement et de la Métrologie” - IMEM, covering important and timely environmental topics. The series allows for different sectors of society - private sector, citizens and public authorities - to brainstorm and make decisions on the addressed issue. Plastic waste, pollution of marine ecosystems from urban waste, coastal erosion, this is a selection of environmental problems Senegal and its neighbouring African countries are facing. Though, solutions hereto exist. Green Talks audience members describe Green Talks as a meeting place of “those who want to but cannot and those who can and do not”. Green Talks are call for action. Ecofund is a collaborative adventure combining scientific research, arts, corporate social responsibility, and the collective potential offered by web based social networks and crowdfunding. “At Ecofund, we believe preserving our planet is not impossible, but a challenge within everyone's reach. Ecofund is a result of what passionate People can do working collaboratively. How will your donation help the project? Your donations will help us to finance the costs of post-production of Green Talks, i.e. the publication in French and English of the summary and conclusions of each edition. Depending on the donations raised at the end, we wish to publish a small “Green Talks” leaflet with conclusions and recommendations, in order to raise awareness and call to concrete action concerning the environmental problems Senegal and its neighbouring countries are facing. 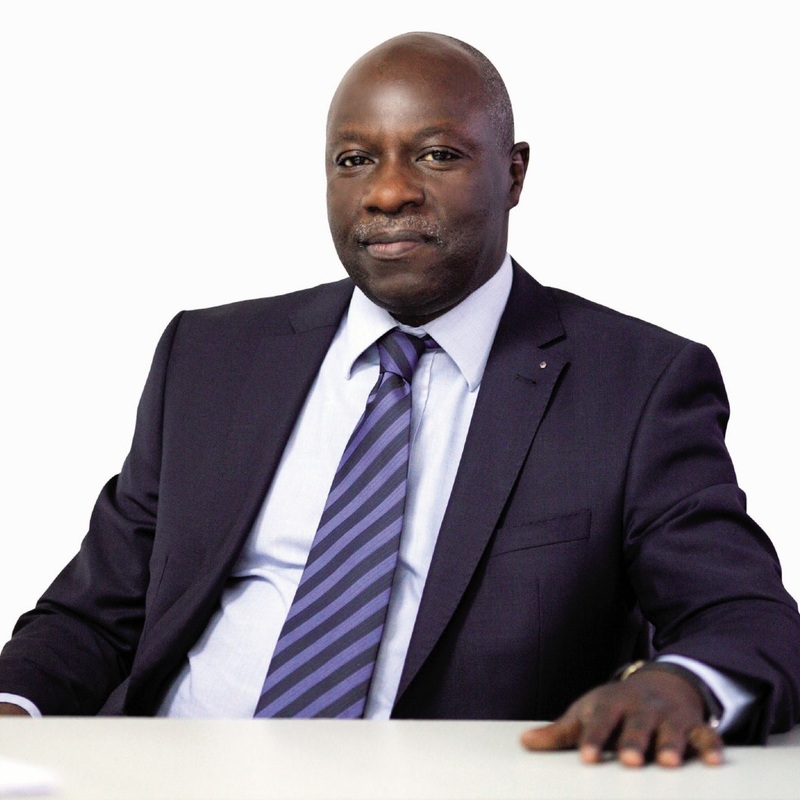 He is the founder of the “Institut des Métiers de l’Environnement et de la Métrologie” - IMEM in Dakar Senegal. He is also the founder of the Senegalese environmental magazine “VIE” and its Managing Editor. Professor Tidjani hosts the “Green Talks” at IMEM. The 4th Green Talks on “Household Waste Management” was held on Wednesday, May 27, 2015. Green Talks is a series of public discussions, launched and organized by Ecofund and the “Institut des Métiers de l’Environnement et de la Métrologie” - IMEM, covering important and timely environmental topics. The series allows for different sectors of society - private sector, citizens and public authorities - to brainstorm and make decisions on the addressed issue. This Green Talks session, which drew a large audience, brought together representatives of Entente CADAK’CA and the National Waste Management Program as well as a designated expert to talk about the problem of household waste management. The discussions started off with a general observation on the poor management of household waste evidenced through garbage dumps, illegal dumping grounds and inexistent garbage collection throughout different cities and local communities in Senegal and Dakar particularly. Poor waste management poses increasingly negative consequences for and risk to the environment, public health and quality of life. - behavioral - due to poor citizen attitudes by citizens regarding waste management. 12) valorization of field technicians through better collective work contract. 2) It is also important to adapt tax incentives to promote the efficient sorting, repurposing and recycling (in the best manner) of waste. The discussions, thus, allowed the participants to have a better understanding of the waste management problem in Senegal. 06.05.2015 › Coastal erosion: Natural or Manmade Phenomenon? The 3rd Green Talks’ topic, "Coastal Erosion: Natural or Manmade Phenomenon? !” was held on Wednesday, April 29, 2015. Green Talks is a series of public debates launched and organized by Ecofund and the “Institut des Métiers de l’Environnement et de la Métrologie” - IMEM, covering important and timely environmental topics. The series allows for different sectors of society - private sector, citizens and public authorities - to brainstorm and make decisions on the addressed issue. Green Talks audience members describe Green Talks as a meeting place of “those who want to but cannot and those who can and do not”. This third session was just such an example. Representatives from the tourism sector, two hotel owners and operators of Saly (a coastal station in Senegal) resorts, called the representatives from the Ministry of the Environment to action. The two represented tourist resorts in Saly offered devastating examples of the socio-economic consequences of coastal erosion not only for the tourism sector but also for local populations: in the last 10 years, the Espadon hotel lost its beach and was forced to close its doors. Its 39 permanent and 40 seasonal workers are today, unemployed. The owner of the Teranga hotel remembered when in 2002 its beach was larger than a football field. The beach served the Senegalese national football team as practice space for the infamous 2002 World Cup where Senegal defeated France and qualified for the quarterfinals. Today, 12 years after, these glory days are long over: there exists 0 cm of beach space, not even enough for a single person to work out! According to Senegalese geology expert and representative of the research institute CEREEQ, Mr. Lô, the consequences of costal erosion are certainly reversible but above all preventable. He offered examples of solutions found in the Netherlands and Japan, but also the Big Mosque in Casablanca in Morocco built on an artificial coast. Mr. Lo confirmed that coastal erosion is a natural phenomenon, but amplified by humans: the first dam built into the Saly port began the destructive process on the Senegalese coast. The representatives from the tourism industry confirmed that in absence of a holistic country vision and long-term program to deal with coastal erosion, they were each forced to invest in individual solutions aimed at saving their own businesses and staff employment. Unfortunately, these individual solutions quickly became self-destructive triggering erosion further down the coast. The representative of the Ministry for Environment, Mr. Bâ, attempted to reassure both the private sector and the general audience: the Senegalese government is currently developing a 22 million USD project financed by the World Bank aimed at the restoration and protection of the beaches in the Saly tourist resort. The objective is to construct 9 wave breakers to protect 1,5 kilometres of coastal line. The Ministry has also drafted new laws on coastal management, which among other measures bans the extraction of beach sand for construction. However, Mr. Bâ confirmed that the needs remain huge and urgent. According to the Senegalese Minister of Environment, several cities in Senegal are condemned to disappear into the sea. Panel participants and audience members agreed that the phenomenon of coastal erosion in Senegal has been both researched and documented for 10 years and that adaptation is possible. Action is needed with clearly defined responsibility of various stakeholders. This action must begin with the elaboration of a holistic vision developed and elaborated by government, scientists, civil society and private sector. - The debate led to a better understanding of the coastal erosion phenomenon in Senegal and the elaboration of practical solutions. Furthermore, the audience gained a better understanding on current efforts by the Senegalese government and the private sector. We need to ensure that the draft law promotes the solutions listed above and that the future law will be enforced. 12.04.2015 › Baie de Hann is an ASSET not an open SEWER !!! The 2nd Green Talks’ topic, on Wednesday, March 25, 2015, was "Hann Bay, an ASSET, not a SEWER." Green Talks is a series of public debates launched and organized by Ecofund and the “Institut des Métiers de l’Environnement et de la Métrologie” - IMEM, covering environmental topics. The series allows for different sectors of society - private sector, citizens and public authorities - to brainstorm and make decisions on the addressed issue. This second session was attended by representatives of The National Office for Sanitation in Senegal (ONAS), Hann Bel Air municipality, the Office charged with the promotion of Small and Medium Enterprises (BMN), the Directorate of Environment and Classified Establishments (DEEC), the civil society "Hann Bay keeper" Association and the Senegalese music group " Les Frères Guissé," initiators of The Hann Bay Environment and Culture Festival. The speakers explained the clean-up challenges of Hann Bay to the audience. The Bay, once known as one of the most beautiful beaches of Senegal, is now among the most polluted in West Africa. Hann Bay, once the world’s first sandy bay, is a 13 km strip of land from the Dakar Port (PAD), home to a local population of about 500 000 inhabitants from Mbao, Diamaguene, Sicap Mbao, Dalifort Ferail. It is, presently, the first industrial zone in West Africa and location to about 70 - 80% of Senegal’s industries. Hann Bay’s pollution is caused by industries and local residents discharging solid and liquid waste on the shores, while the marine pollution is caused by derivative waste and rotting seaweed borne by ocean currents from the coastlines to the Bay. The ONAS has been informed of the non-provision, by Dakar local authorities, of a differentiating sanitation system for Hann Bay. Rain and waste water empty into ONAS-managed channels, though water channel management falls on the municipality. The discussions highlighted the lack of responsibility from the often inactive local authorities. - polluting industries have been listed (5 identified companies in the zone are responsible for 70% of the pollution), and all studies on ocean currents, dispersion, and characterization of Hann Bay’s industrial waste, as well as analysis of applicable pricing systems have been carried out. - problem of non-differentiated water drainage channels and use of unauthorized channels by locals (inappropriate behaviour); for ex. the remediation project targets only liquid waste leaving the solid waste problem unaddressed! 7) informing people of the project’s progress, and providing information on the benefits and risks of the emissary, just 3 km from the sea. 1. The Bay’s first asset is its riverine population ! 2. THE BAY IS AN ASSET AND NOT A SEWER. 01.04.2015 › Plastic bags or paper? Not quite that simple ?!? On Wednesday, February 25, 2015, IMEM and Ecofund inaugurated "Green Talks," a series of public debates, billed for the last Wednesday of each month, covering environmental topics. The series allows for different sectors of society - private sector, citizens and public authorities - to brainstorm and make decisions on the addressed issue. 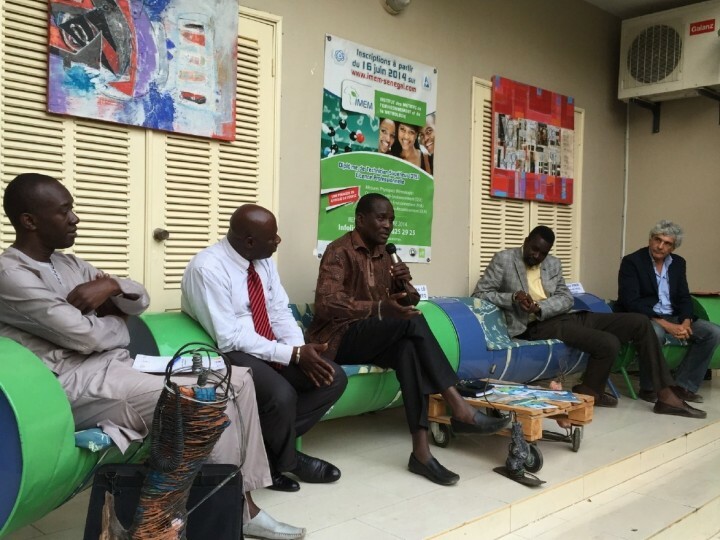 The first "Green Talks" raised a timely issue in Senegal: "Plastic or paper bags”. Audience members actively participated in the debate led by panelists from industry, government and civil society stakeholders. Prof. A. Tijani opened the discussions evoking the advantages of plastic - its adaptability, safety, low energy consumption, low cost of sale and often free distribution. This has led to its extensive use in all sectors, and it becoming an environmental problem through its adverse effect on the environment. In addition to being an eyesore, plastic waste has disastrous impact on both health and biodiversity. For Hawili Ibrahima, the Chief Executive Officer (CEO) of SIMPA - a company founded in 1958 specializing in the manufacture of plastic packaging, the issue is often presented as a conflict between industrialists and the environment. He believes it is important to "determine responsibility while promoting dialogue." Mr. Hawili condemned being "stigmatized" as a plastic manufacturer even though the plastic waste in Senegal consists of black bags with straps manufactured outside Senegal and imported without official regulation. He also pointed out that plastic manufacturers are job creators, as the industry alone accounts, in Senegal, for over 300 billion FCFA/annum. For Yves Cremieux, CEO of RUFSAC (founded in 1978 in Rufisque) which specializes in paper bag manufacturing, paper bag production from natural and biodegradable materials is an asset. Paper bags can, indeed, be recycled after use for wrapping and burning. However, this industry requires huge investments and relies on the availability of water and wood. The audience immediately responded by questioning the condition of the wastewater from the manufacturing process and evoking the devastating consequences of such an industry on forests. For Mr. Cremieux, limited exploitation is required to enable forest owners to obtain the Forest Stewardship Council (FSC) label, which ensures that timber processing follows procedures for sustainable forest management. This “Green Talk’ theme "Plastic or paper bag", seems to argue for a choice between paper and plastic, but there is no conflict between the two sectors. Paper is a feasible alternative to but not a true substitute for plastic. Paper bags can, nevertheless, reduce the proliferation of plastic bags in Senegalese cities and villages. Coincidentally, during the “Green Talk” debate, the Council of Ministers approved the draft bill banning the manufacture, sale and distribution of plastic bags of less than 30 microns (black bags). According to Messrs. Hawili and Ba, Secretary General of UPIC (the Senegalese National Employers Association (CNP) regrouping Industrialists), the bill was drafted with the support of plastic manufacturers. The private sector also contributes towards reducing plastic waste. For example, SIMPA conducts research to produce biodegradable plastics and recycled 3,200 tons of plastic in 2014. Recently, SIMPA launched Recuplast, a recycling network, at Sicap Mbao by investing 3.5 million Euros. Other initiatives include the Proplast network, in Thies, involving more than 1,800 collectors. This is important to remember! Meanwhile, what is the responsibility of citizens and plastic users doing? Towards the end of the debate, it was clear to the participants that the plastic problem was neither a problem of over production nor a problem of just plastic versus paper. Litter generally including water bottles and the infamous Touba coffee cups, are carelessly thrown everywhere. Beyond the degradation of the environment, this behavior renders plastic collection difficult and costly, thereby limiting plastic waste recycling. It was agreed that there must be a change in behavior, that teaching ecology or at least basic attitudes to protect the environment are necessary, that throwing everything and anything in the streets regardless of the inconveniences caused (visual pollution, obstruction of rain water evacuation drains, poisoning of the land and cud chewing animals) must be stopped. - Above all and from henceforth, consumers should be encouraged to throw garbage in the trash bin and not in the open. This debate provided a better understanding, to participants, of the plastic waste problem and a better context for the draft bill on plastic bags. Though the bill was adopted the same day by the Council of Ministers, it still remains to be ratified by Parliament and most especially to be adhered to by the general public. Hello! Ecofund is a global community of green-minded people. Join us now!